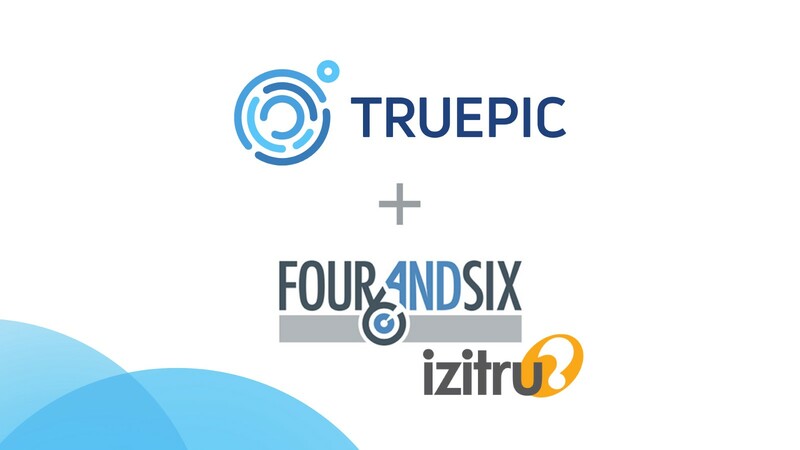 Today, Truepic is announcing the acquisition of Fourandsix Technologies, a company founded by Hany Farid & Kevin Connor. Fourandsix (pronounced ‘forensics’) is noteworthy for many reasons, including their recognition as the leader in post-capture photo forensics technologies. So much so that earlier this year, Hany & Kevin’s technology was licensed by DARPA (the United States Defense Advanced Research Project Agency) for its media forensics research initiative. Up until today, Truepic has focused all of our resources on a different flavor of photo forensics called controlled capture technology. In essence, creating camera software that utilizes a very specialized verification pipeline tied to the various imaging and geo-spacial sensors on mobile devices. Through this approach, Truepic pioneered a new breed of visual media. Photos and videos taken using Truepic’s patented technology have verifiable origin, contents, and metadata. Truepic designates only those that pass its rigorous verification process as authentic and assigns them a unique verification page. Over the past two years, our team has successfully deployed this technology with top insurers, lenders, and humanitarian organizations across the world. Everything from supply chains in East Asia to documentation of the humanitarian situation in Syria have been captured and authenticated through Truepic’s controlled imagining pipeline. Our team is incredibly proud what we’ve been able to accomplish through this novel approach to photo forensics. 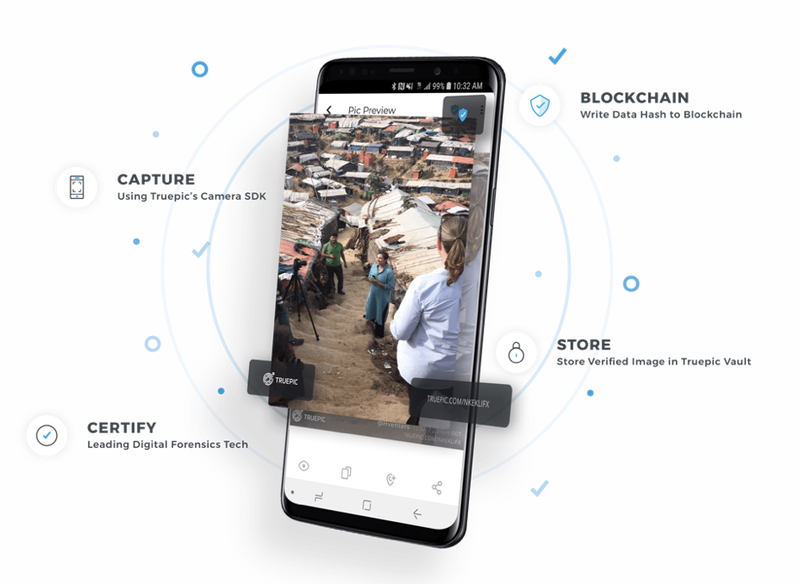 After tapping the shutter button, Truepic’s imaging pipeline runs over 20 verification tests on user generated content before creating an immutable copy on the Ethereum blockchain. What about the other ~1.8 billion images a day that are uploaded to the internet outside of Truepic’s controlled ecosystem? Our mission has long been to restore trust in all digital photos, and without producing tools to address these images and for the services that ingest them, we were missing the mark. Enter Hany Farid. Hany is a legend in the field of photo forensics. On paper, he has spent over 20 years working in the field, has consulted for governments, news organizations, courts, and scientific journals seeking to authenticate the validity of images, and has been called the “father” of digital image forensics. I personally prefer Joshua Rothman’s profile of Hany in The New Yorker as a motorcycle riding photo forensics superhero. As distrust of user generated content has steeply escalated over the past two years, particularly related to A.I. synthesized videos (referred to as Deepfakes), Hany’s work has become all the more important. And frankly, it’s going to take a team of forensics superheroes to keep humanity’s trust in images from falling to zero. Hany and I first met at a DARPA event where we swapped notes about image veracity, and it was quite obvious from our first chat that his deep domain expertise on post-capture analysis would add immense value to Truepic’s core mission. Those shared values led us to deeper discussions on how a combined platform could help the largest of partners fight back against disinformation on the internet. We’re on a ten year mission to build the most advanced tools for restoring trust in digital content. This roadmap will continue to include massive investment in our controlled capture tools, including direct OEM device integrations. And, with the addition of new product offerings leveraging traditional photo forensics tools for pre-existing photos, we will be able to service an entirely different profile of customers fighting disinformation. 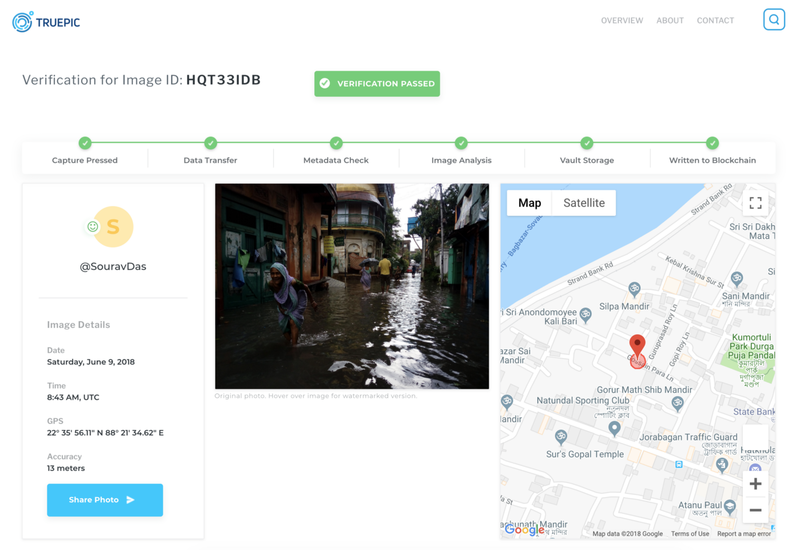 Our plan is to build upon the foundational technology to create a high-frequency API, which could allow organizations to programmatically evaluate the trustworthiness of photos or videos captured outside Truepic’s controlled capture pipeline. This could help social network platforms, for example, to detect and slow down the spread of deceptive content on their platforms. What’s clear is that both approaches will be important tools for restoring trust in images across the internet, and Truepic providing a more holistic set of solutions will allow us to better service our wide array of partners. We’re on our way to addressing the authenticity of every image on the planet, and that gets all of us very excited! Truepic is the leading photo and video verification platform. Our mission is to accelerate business, foster a healthy civil society, and push back against disinformation.